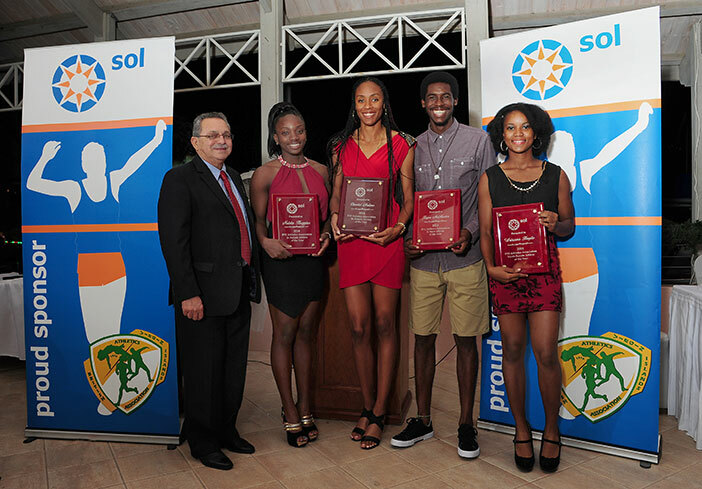 Despite uncertainty surrounding the start of the 2015 season because of repair work planned for the Mondo track at the A. O. Shirley Recreation Grounds, BVI track and field athletes turned in stellar performances during the 2015 season. As BVI athletes put those early season challenges behind, there was an unparalleled run of National Records in the BVI Athletics Association 44-year history, where for 13 consecutive weeks, starting on January 23, 2015, some level of National Youth, Jr. Senior Record was established. Against that backdrop, a record 27 athletes are vying for the coveted Athlete of the Year awards presented by Sol in Youth, Junior and Senior divisions. The forthcoming event is scheduled for 7 p.m. on Tuesday, December 29, at the Moorings. Donation is $50 single and $85 per couple. Sol will also dole out awards to athletes who have established a National Records that stood at season’s end. In all, there were 15 National Records established during the season. During the evening, the Most Outstanding Athletes Awards from U9 through the Open Divisions in track events, field events and combined events will be recognized as well as the Most Improved Athlete, and the Comeback Athlete of the Year. The Coach of the Year will also be named. Awards for Road Racing will also be presented and three early contributors to the development of the organization will receive the BVIAA’s Lifetime Achievement Awards.